One of my daughter’s favourite books is “Space Walk” by Salina Yoon. Each page shows a planet, accompanied by a rhyming factoid about it. However, because it’s so dauntingly massive, Jupiter does not technically orbit the sun. 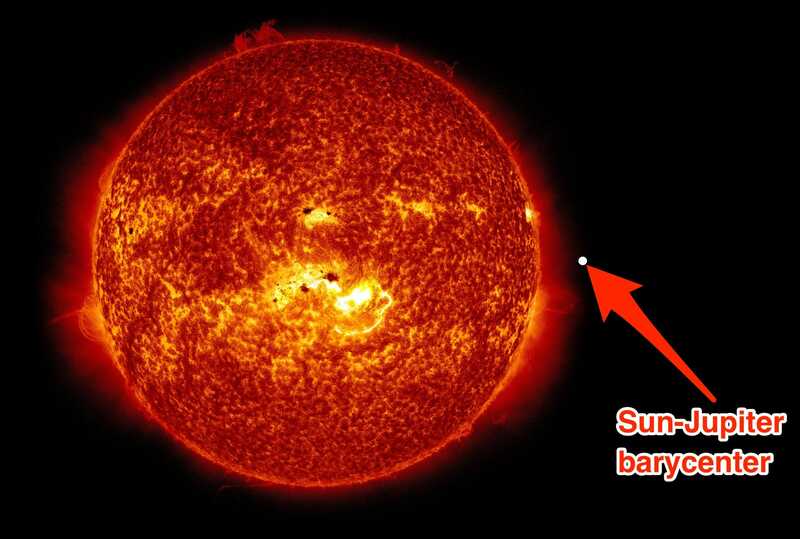 For a puny, fragile planet like Earth, which is 1/332,949th the mass of the sun, the center of gravity resides so close to the center of the sun that we don’t even notice the slightly off-kilter orbit. It seems like we circle the star. The same is true of pretty much all other objects in the solar system — except for Jupiter. 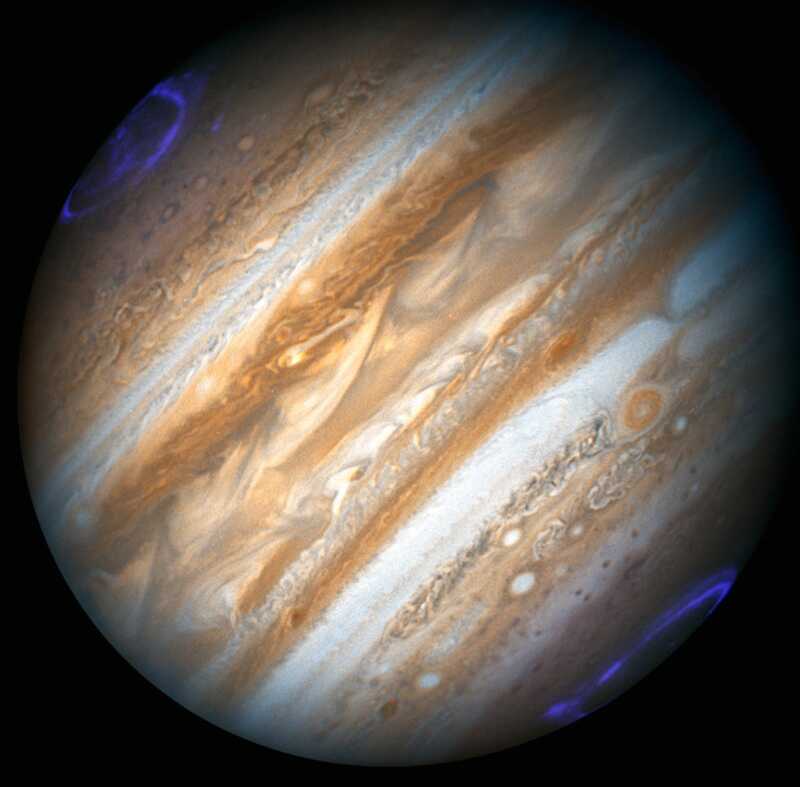 The gas giant is so big that it pulls the center of mass between it and the sun, also known as the barycenter, some 1.07 solar radii from the star’s center — which is about 30,000 miles above the sun’s surface. NASA/SDO; Business InsiderA to-scale illustration of where the sun-Jupiter barycenter is located. Jupiter is more than 1,000 less massive than the sun and takes up nearly 1,000 times less space, but it’s sizeable enough that both the sun and Jupiter orbit around that point in space. In essence, that’s how Jupiter and the sun move through space together — though the distances and sizes are far different. So the next time you read a kid’s book that says Jupiter circles the sun, you’d be forgiven for ripping out that page.